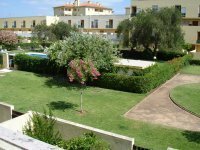 Welcome to our selection of holiday rentals in the Central Algarve, Portugal. The Algarve is famous throughout Europe as the ideal destination for a sunny beach holiday, with warm temperatures most of the year, beautiful family-friendly beaches and lots of tourist attractions and leisure facilities to keep visitors of all ages entertained. The Central Algarve is perhaps the most visited part of the Algarve, thanks to the fact that it is where the region's main airport, Faro, is located. There are dozens of resorts for holidaymakers to visit in this area, stretching along the Central Algarve coast, from Faro itself in the east to Portimao, 45 miles further west. Many people only think of Faro for its airport, but the city itself is worth visiting, if you are looking for somewhere more historic and cultural than the beach. Home to some fine examples of Portuguese architecture, as well as an excellent modern marina, Faro also stands on the shores of the Ria Formosa lagoon, where various bird species live and which offers a quieter alternative to the coastal beaches. One of the largest of these resorts is Quinta de Lago, equipped with its own shopping centre, golf course and a range of different accommodations. If you would prefer to stay somewhere more authentic, try Vilamoura, which was a town first and a tourist destination second. Bustling in summer, the town's attractions are open all year round if you fancy some winter sun. At the other end of the Central Algarve coast is Portimao, a traditional fishing village where you can still enjoy excellent seafood. The coastline in this part of the Algarve is more cliffs and rocky coves, than huge stretches of sand, but this can often mean you have more chance of finding some peace and quiet in the busy summer months. Inland from Portimao is the historic town of Silves, home to an impressive 8th century fortress and an excellent weekly market selling fresh local produce. Other attractions on this stretch of the Central Algarve coast include the unspoilt village of Porches, famous for its pottery and the whitewashed streets of Carvoiero. In the middle of the Central Algarve is the region's main resort of Albuifera, home to hundreds of restaurants, bars and nightclubs. Looking for self catering holiday accommodation in the Central Algarve? 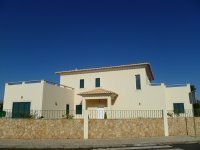 Then below is a selection of holiday villas in Central Algarve and holiday apartments in Central Algarve that can be rented direct from their owners. You can either click on each listing for further details or you can use our search engine on the left if you are looking for something in particular.